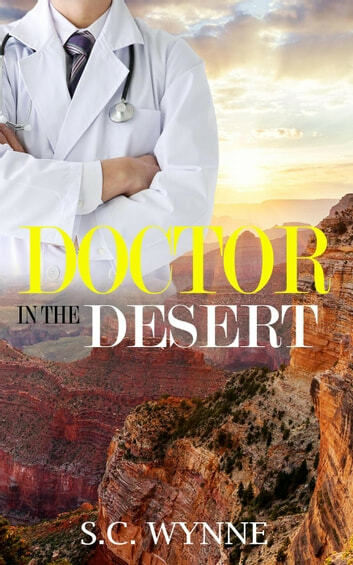 Trace Bennett is a successful ER doctor in the small town of Bisbee, AZ, but small town life leaves something to be desired. His career is great, but his love life is tragically dull. Logan Drury is a cop who just transferred to Bisbee. He's stuck living with his sister until his rental is ready, and as he settles into the small town, boredom sets in. One day in the ER, A deranged drug addict brings the two men together, and suddenly life in Bisbee doesn't seem so boring after all. Doctor in the desert is a very sweet book. ARC kindly providedme this book. If you believe in love at first sight, then this book is for you. If you don’t.,.. well... you may want to read it anyway, cause Its a very sweet and short book. When a small town doctor meets a new in-town cop, sparks fly. It’s a fast easy read that will leave you all warm and fuzzy inside.